Pedro Calapez was born in Lisbon (1953) where he lives and works. 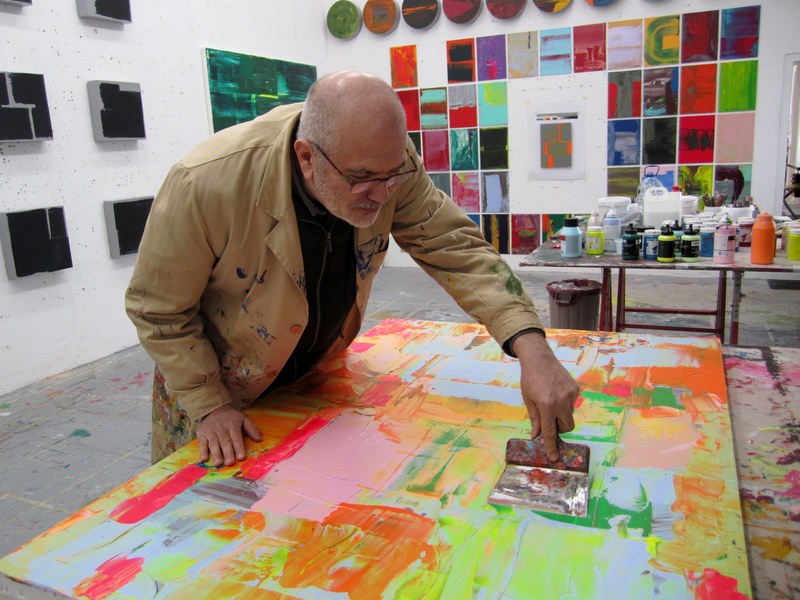 He began taking part in exhibitions in the seventies and in 1982 had his first solo exhibition. 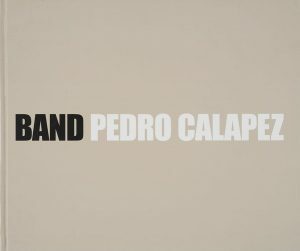 Know more about Pedro at calapez.com . I believe anything you do is work, and that work always relates to everything that has gone before: art is only art to the extent that it relates to the history of art. The way in which individuals pick up previous givens, transforming and developing them is the individual’s artistic art. But when that work is merely producing a little of what has already been said, I find it uninteresting. Art depends on the reading of minimum spaces, reading spaces that are hidden because they are between things, undefined, obscure zones that allow us to develop the work of painting. I have been seeking small stratagems to capture this zone “between”. Many of the choices i make are determined in relation to the surrounding space of the architecture, to the space of the landscape. Caixa Geral de Depósitos, Lisboa; Centro de Arte Caja Burgos, Burgos; Central European Bank, Frankfurt; Centro Galego de Arte Contemporânea, Santiago de Compostela; Chase Manhattan Bank N.A, New York; European Investment Bank, Luxembourg; Fondación Coca-Cola España, Madrid; Fondación Pedro Barrié de la Masa, A Coruña; Fundación Prosegur, Madrid/Lisboa; Fundació Pilar i Joan Miró, Maiorca; Fundação AIP, Lisboa; Fundação Calouste Gulbenkian, Lisboa; Fundação EDP, Lisboa; Fundação Luso Americana, Lisboa; Fundação PLMJ, Lisboa; Fundação Portugal Telecom, Lisboa; MACE, Museu de Arte Contemporânea de Elvas, Colecção António Cachola, Elvas; Museo Extremeño e Iberoamericano de Arte Contemporáneo, Badajoz; Museo Nacional Centro de Arte Reina Sofia, Madrid; Museu de Serralves, Porto, Seippel, Cologne among opther public and private collections.